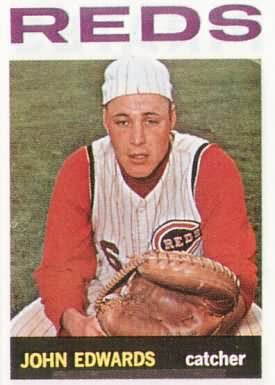 Johnny Edwards shined behind the plate from 1961-74, serving the Reds, Cardinals and then Astros. A three-time All-Star and recipient of two Gold Gloves, Edwards doesn’t remember Jim Maloney’s two gems as the majestic records some fans might. “In the first no-hitter, I was taken out for a pinch-runner. Boy, was I mad. Edwards followed the path of Curt Flood. Both moved from the Reds to Cardinals. Ironically, Edwards never mentioned partnering with pitcher Ray Washburn on a no-hitter for the Cardinals in 1968. Flood patrolled center field that day. Edwards once told Tim McCarver that he remembered Flood always cheering on teammates, no matter the score or Flood’s own success in the game. You can’t help but keep cheering for Johnny Edwards, too.